PedalPub's Nano Brewery Tour Shows You the Sights and Sounds of St Pete! Want to visit three of the finest small-batch breweries in town? PedalPub Bike Tours will take you there! The "Nano Brewery" Tour will roll past beautiful murals on its way to Avid Brewing, Right Around The Corner, and If I Brewed The World. These breweries produce small, delicious batches of affordable and exceptional brews. Each offers a unique experience in a smaller, more private setting. Cozy tasting room offers a view of their brewing system. Fourteen taps for a great selection. Delicious craft beer and old school games. A comfortable atmosphere with an outside patio. Award-winning. The “mix tape” of breweries with a lot of weird stuff. Sake bombs! 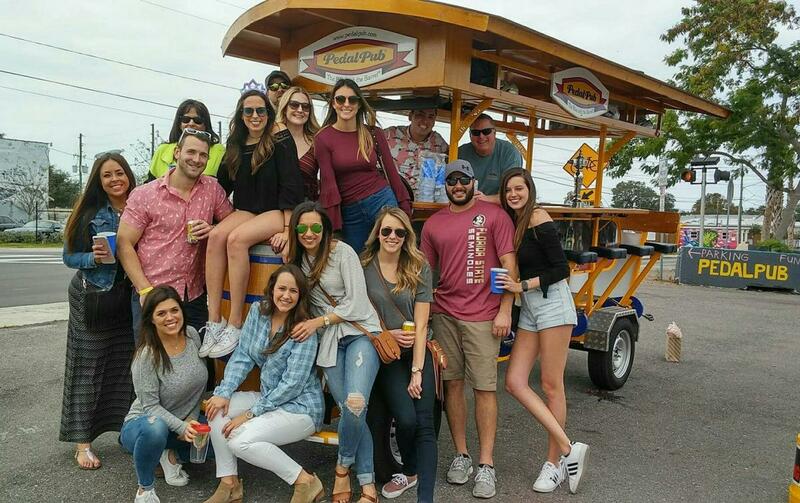 Related Content: Ride, Drink, and Be Merry on St. Pete's Awesome PedalPub! This Dutch-created party bike can accommodate up to sixteen people, and even though there are a few non-pedaling seats, all riders must be ready, willing, and able to pedal - there's no engine! Biking is part of the PedalPub fun - and this is the perfect outing for friends, bachelor/ bachelorette parties, and corporate team-building events. Ride, drink and be merry while you enjoy the sights! Gather your group today for an affordable and enjoyable biking, drinking, and art appreciation adventure tour through some of St. Pete's most wonderful neighborhoods. Visit PedalPub St. Pete to book your reservation today! Searching for more fun and active ways to meet new friends and see the sights? Register for free on 727area and never miss any of the fun things to do in St Pete!